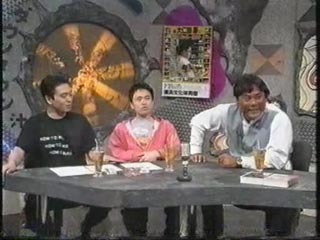 Guest: 大仁田厚 (Atsushi Onita), former politician who became a professional wrestler and actor known for his work in Martial Arts Wrestling. Housei seems to offer himself up again for a wrestling session but backs out after the guy is concerned he'd seriously injure him. 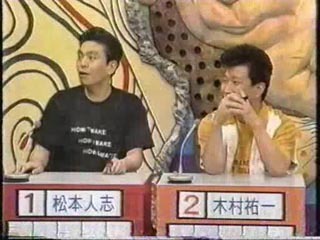 From this episode on, instead of trying to guess the answer of one of the cast, they bring in a guest for them to guess the answer of.